Mana Wahine was established in 1990 as a result of a hui that was held at Waiwhetu Marae. The Wellington Regional Health Board had begun holding hui with Māori organizations to investigate the possibility of developing cervical cancer health promotion and screening services. Wahine Māori were adamant that if services were to be developed then the development of the services needed to be driven by Wahine Māori. Thus Mana Wahine was established. Today Mana wahine is an incorporated society. we are a collective network consisting of five Māori Health Providers delivering services across the greater Wellington, Hutt Valley and Porirua regions. 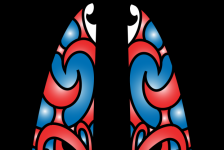 each member is an autonomous organization in their own right and come together to demonstrate their commitment to the kaupapa. 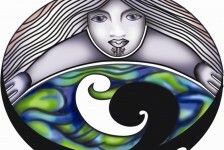 Over the last decade, Mana wahine has also been instrumental in developing a range of Mana wahine resources. Our current range of resources includes t-shirts, skivvies, vests and satchels. Locally Mana Wahine has contributed to the development of register policies, procedures and resources. Nationally, Mana wahine has contributed to the development of smear taking standards, national resources such as Atawhaitia Te Wharetangata- Cervical Screening a Guide for Māori health Educators and promoters, Breast Screening and Cervical Screening Policy & Quality Standards and provided expert advice to working parties such as the 1997 working party on Cervical screening. Mana Wahine particularly promotes BreastScreen Aotearoa screening programme and the National Cervical Screening programme.